In my first post of the week, I introduced you to five-star acoustic guitarist Matthew Cutillo. He holds the record for most all-time GigMasters client reviews, and not surprisingly, most all-time five star reviews. 1. Play a Great Show This one might go without saying but it's important to remember that your clients aren't obligated to give you five stars. The trick is to give them such a spectacular performance that they'll want to give you five stars. The key is to go above and beyond their expectations and give them a great show that they'll talk about for years to come. Remember: there is no such thing as 'just another gig' because every event is special to the host and their guests. 2. Be Polite This one seems obvious too but we can't stress enough the importance of being polite, considerate and accommodating. These gigs can be very personal. If you think you are going to get booked for a wedding or a birthday party after being anything less than 100% polite - you're crazy. Be on your very best behavior from the moment you first contact a potential client, through the big day and even all of your correspondences after the gig. Plus you never know, one of the guests might be in the market for some live entertainment for their own event! 3. Spread the Love Clearly you are going to be nice and polite to the client that hired you, but don't stop there! When you arrive at the gig, make it a point to be friendly with everyone you meet. While at the end of the day it's your client leaving you the review, you can rest assured they'll be asking their friends what they thought of you. 4. Ask Questions Here's an important one: It is absolutely essential that you and your client are on the same page. Part of making someone's dream come true is knowing exactly what that dream is. Ask them how you make the event an amazing success. Try to help in anyway you can, just be sure not to overstep any boundaries. 5. Customize for the Client This one is optional, but, if you can tailor your performance to meet a particular clients needs, we say do it. It's up to you whether you want to, say, take audience requests or learn the client's favorite song but if you can do it, it sure goes a long way with clients. **Final Bonus Tip: Just Ask! Sometimes all you have to do is ask. We send every client a feedback reminder the day after the gig but you should also always politely ask the client yourself. Make it a point to explain the importance of client feedback to our system. Follow-up after the event with a polite email or, if you feel it's appropriate, a phone call. 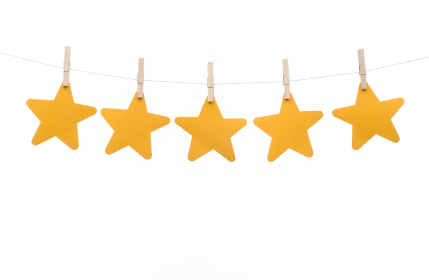 Do you have any sure-fire tactics for getting great client reviews? Please share below!